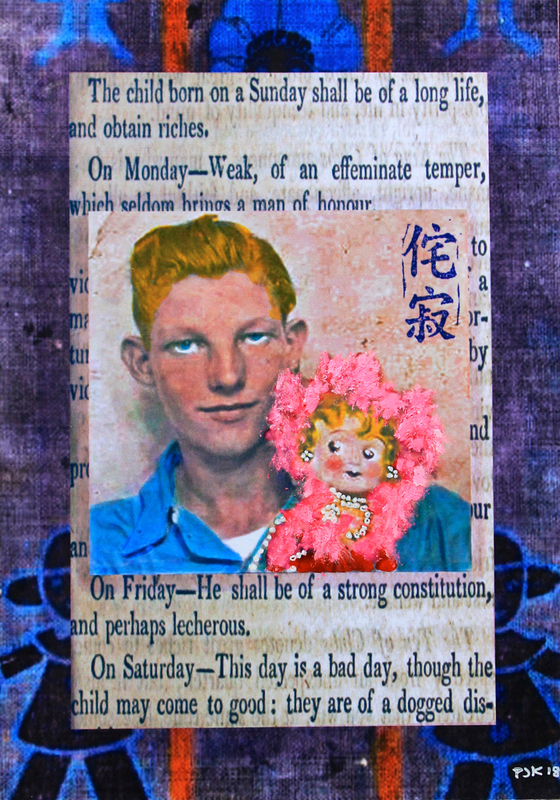 Found 1930's black and white photo cut out, enlarged, colored (photo dyes, markers, acrylic) mounted on old adage about birth order, and placed on an adapted vintage wallpaper with a doll motif. Rubber stamped with ink showing the word wabi-sabi in Japanese. The adage in part says people born on Monday are "Weak, of an effeminate temper, which seldom brings a man honor." BUT, those born on Friday "shall be perhaps lecherous."